High quality scrubs that are comfortable, durable, and professional at amazingly low prices. Tru scrubs will help you go about your day with ease and comfort and keep you focused on your work while looking professional. 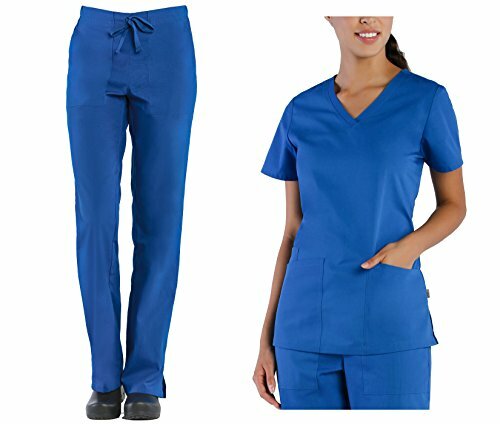 The scrub top features a curved v-neck line with 2 front pockets and 1 cell phone pocket. The back darts and side vents add a nice style and shape. The scrub pants are tapered with a half elastic waistband and dyed-to-match drawstring. It features 2 front pockets and 1 back pocket. If you have any questions about this product by Tru Uniform, contact us by completing and submitting the form below. If you are looking for a specif part number, please include it with your message.